→How To Tell If Chicken Breast Is Bad: Take Notes To Restore Your Food! Although poultry (chicken in particular) is considered to be a healthy type of meat (white meat vs. red meat), the breast is still considered its best part. Chicken breast is meaty, and it’s also the chicken part that’s lowest in fat and cholesterol. 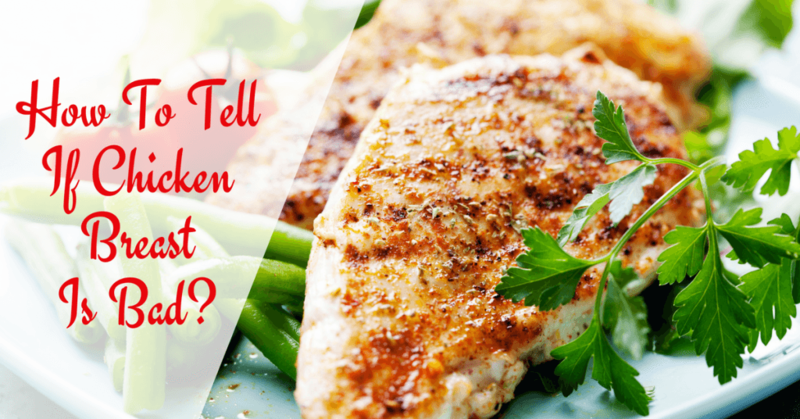 In this article, I will show you how to tell if chicken breast is bad. In fact, I will talk about chicken, in general (not just the breast part). You can, therefore, apply the things you will learn here not just on chicken breasts but on chicken legs, thighs, wings, etc. I will also cover the basic tests on how to tell if a chicken is good or bad – whether they’re raw or cooked. You see, raw chicken (or chicken parts) will carry different characteristics from cooked chicken dishes as the meat will no longer be raw. Color – Looking with your eyes is the first step to analyzing if raw chicken or cooked chicken is still good. Smell – Use your sense of smell to determine if the food you’re about to cook (or eat) is in good condition. Texture – Fresh raw meat feels differently than rotten meat. Likewise, the texture of cooked chicken meat that’s still good (edible) is different from the one that’s already spoiled. Taste – You can tell by the taste of a dish if it’s still good to eat or not. If there’s a sour taste (or any unpleasant taste) in one bite, discontinue eating and just throw the food away. Signs of mold – Use your eyes when preparing food and eating food. When there are already signs of mold, just discard the raw meat or cooked dish. Remember that simply removing the moldy parts will still expose you to sickness as the entire food has already been contaminated. Storage conditions – Before preparing raw chicken or eating cooked chicken dish, consider the way it was stored beforehand. If raw, it should have been placed in the refrigerator or freezer immediately (not over the counter or at room temperature). And if it’s a cooked chicken dish, it should have been placed in the fridge (or freezer) within 2 hours after cooking. Before cooking a particular chicken recipe, make sure that the raw chicken or chicken parts you’re about to use are still fresh and safe for consumption. Below is a list on the things that you should check on before cooking raw chicken. Color – Fresh chicken meat has pinkish white color. If the color of the meat has already turned grayish, this is a sign that it’s no longer that fresh. Sometimes, the pinkish color can fade and turn dull – oftentimes, this means that it’s not that bad (yet) and is still safe to cook (and eat). When in doubt, check for other signs of spoilage – or simply throw it away. Smell – Fresh chicken meat smells bland. That means it’s not smelly at all (especially when you already cleaned and washed the meat with water). Sure, it will smell raw, but the overall smell is still pleasant. Now, when there’s a really bad odor – this means that the piece of meat is already bad. Having a bad smell means it already stinks (and you can’t miss it). I suggest discarding the chicken even if it only carries a mildly foul odor as it can already be a breeding ground for germs and bacteria. Feel – If raw chicken meat is already slimy and sticky, this could signify that the part is already spoiled or rotten. You can still double check by washing the chicken with water – and if it still has that slimy feel, that’s a strong sign that it’s already bad (and no longer fit for consumption). Don’t worry, if raw meat is already in a slimy condition, it will surely smell bad, too. Color – While it’s normal for frozen chicken to fade in color, it should still be recognizable as white meat. If frozen chicken is already grayish in color, it only signifies that it has turned bad even when kept in the freezer. Yes, this is possible, especially if you are not aware as to how the raw chicken was handled before being put in the freezer. Condition and Texture – Should you find that the frozen chicken or chicken parts are already covered with ice, this could signify that the chicken was already exposed to freezer burn. Sometimes, you can still cook meat in this condition, but the dish will not taste as fresh and tasty. Therefore, before cooking (when the meat has already thawed), inspect the chicken (or parts) again. Note: To be able to really check the condition of raw frozen chicken meat, it would be necessary to thaw the meat first. You can then treat it like fresh raw chicken and check for freshness using the guide I gave you above. Needless to say, it’s a little more difficult to check on the quality or condition of chicken when it’s already cooked. 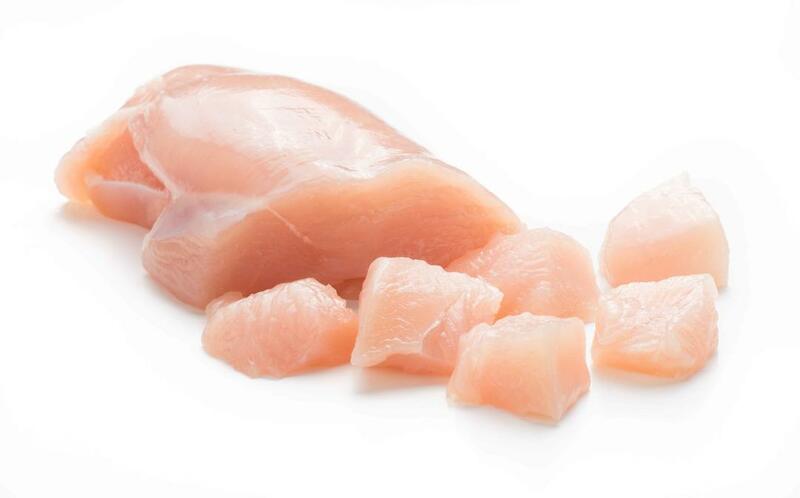 Raw chicken, in its fresh state, should look, smell, and feel fresh. On the other hand, cooked chicken can carry different scents and tastes because of the other ingredients used in the recipe. Still, you can use the points below as reference guide when checking on the condition of a chicken dish. Smell – Sure, all the other ingredients you used in the recipe have already altered the smell of raw chicken, but it should still smell good. If a chicken dish is already bad, it will carry an unpleasant smell. More often than not, cooked dishes give a sour smell when they’re already spoiled. 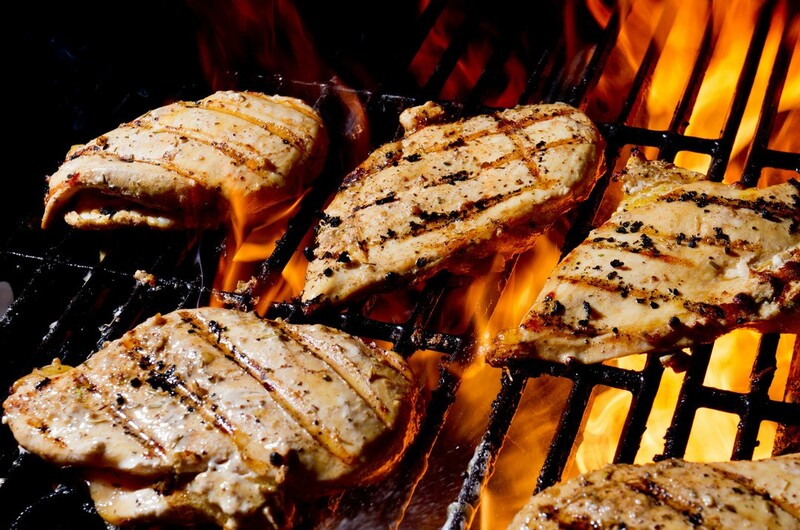 Color – Even when cooked, chicken meat will still be white inside. The outside color may change because of the sauce or the way it was cooked, but you can always slice the meat to check the condition inside. If the color has already turned to gray, this is a sign that the meat (and the dish) itself has turned bad. Signs of Mold – Mold can be blackish or greenish in color. Depending on the dish, the mold can grow on the chicken part itself or on the sauce of the dish (if any). In any case, you need to discard the food if mold has already grown – it’s already contaminated and eating the dish will expose you to sickness. Taste – If you still have doubts as to whether a chicken dish is still good to eat or not, proceed with caution. I understand that you don’t want to throw it away if you think that it’s still edible and safe to eat – but do a taste test first. Putting a small portion into your mouth, observe its taste and flavor. If the taste is no longer pleasing or is already bad (or worse – already tastes sour), spit it out and just throw the whole thing away. Cooked chicken dishes can spoil faster if exposed to air. That’s why you should keep any leftovers in tightly sealed containers before refrigerating them. Proper storage will prolong the life of raw chicken and cooked chicken dishes.When storing chicken in the freezer (raw or cooked), use freezer bags or freezer-safe containers to avoid freezer burn. Put labels (dates) on stored chicken (raw or cooked) so that you can use the dates as reference points when checking on their freshness. Raw chicken in the refrigerator should be cooked within 2 days (as it will already start to spoil around the 3rd day). 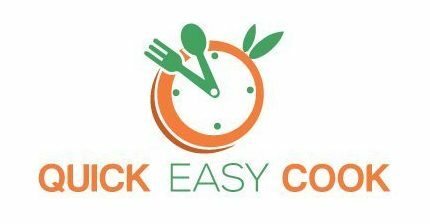 If you have placed a cooked chicken dish in the fridge, be sure to consume it within 4 days. If you plan on consuming it at a later date, put it in the freezer. Cooked chicken dishes can be frozen for up to 4 months and still stay (and taste) good. Raw chicken, when placed in the freezer, can last up to a year. Don’t scrimp on throwing away spoiled chicken (raw or cooked) as you can get food poisoning from eating food that are already rotten and full of bacteria. Do not thaw frozen chicken (raw or cooked) on the countertop. Thaw in the refrigerator instead by placing the food to be thawed there the night before. Don’t get into the habit of freezing chicken (raw or cooked), thawing it, and then freezing it again. This practice encourages bacteria growth and will expose you to diseases. For safety reasons, cook chicken at a temperature of 165 degrees Fahrenheit. I am not encouraging you to throw away food (chicken, in particular) if it’s still good – as this is tantamount to throwing away money. However, if the food is no longer safe for consumption, it would really be wise to simply discard it. This post has covered the many signs you can look into when checking if raw chicken, chicken breast, and cooked chicken dishes are already bad. With such knowledge, you can now safely cook raw chicken (or chicken parts) without putting your health in danger. And it’s the same thing with cooked chicken dishes – as you already know how to tell if they’re no longer good for consumption. If this article has been helpful to you, do share it with your friends. I would also appreciate your feedback.